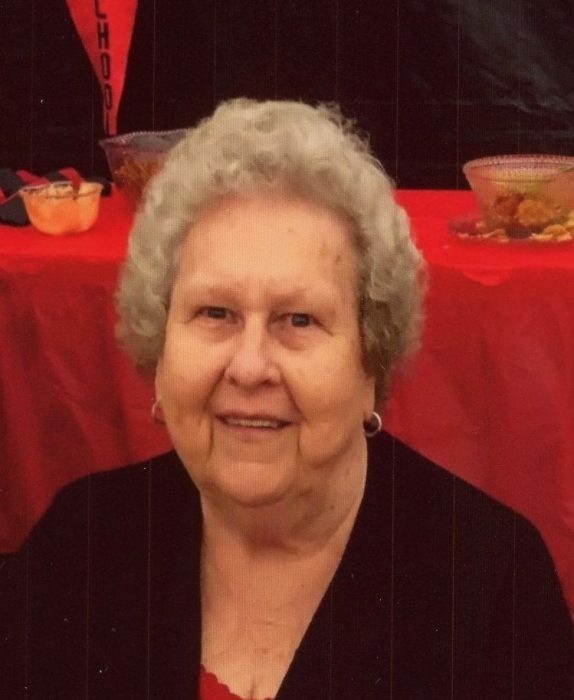 Vera Marlene Lyons, 84 of West Union departed this life on Monday, February 11, 2019 and gained her place in heaven with the angels and so many of her beloved family and friends. She was born March 23, 1934 in Bens Run, WV; the daughter of the late Lester and Ethel Mott Dearth. She leaves behind two daughters, Debra Sue Randolph and husband Walter, West Union, Walter has been instrumental as her caregiver and devoted much of his time to caring for her needs, as they had a natural love for each other. Also, Lila Lou Sharpes, Salem, WV; two grandsons, Christopher Randolph and wife Tessa, John Michael Sharpes and wife Connie, one granddaughter, Lila Sue Sharpes and companion Travis; four great grandchildren, Harrison Randolph, Harper Bartlett, Jesse Sharpes and Oren Sharpes; brother, Lyle Dearth, Bens Run, WV; one sister, Phyllis Greene, Phoenix, AZ. In addition to her parents, she was preceded in death by her loving husband, Billy Lyons of whom they was married for fifty seven years; grandson, William Sharpes; son-in-law, John D Sharpes; sister, Lila Jean Swain. Marlene was a member of Victory Baptist Church. She loved to sing hymns and play her guitar. She had so much love for her children, grandchildren and friends. She worked for Salem College for several years. Her passion in life was making homemade bread and noodles. She loved to cook. She also loved making peanut butter cookies for her great grandson Harrison McCoy Randolph of whom he lovingly called her “Ganny”. She will be missed dearly by all that knew her, because she had a heart of gold. Family will receive friends at Greathouse Funeral Home, 1999 W. Main Street, Salem, on Wednesday, February 13, 2019 from 3-8pm; Funeral Service will be held at Greathouse Funeral Home on Thursday, February 14, 2019 at 1:00 pm with Reverend Dennis Napier presiding. Interment will follow at Chestnut Grove Cemetery. Online condolences may be sent to GreathouseFuneralHomeWV.com. Greathouse Funeral Home is honored to assist the Lyons family.